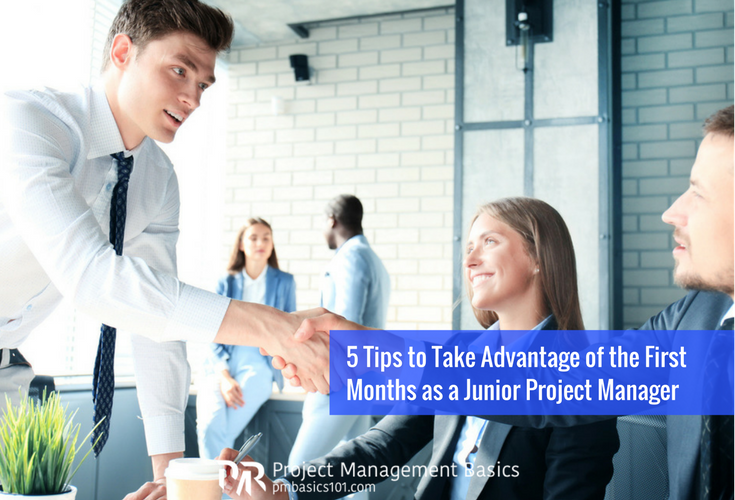 Junior Project Managers have a tremendous advantage during initial several months. The role implies that a person is going to learn the craft. So, how to reap the benefits of your position and lay a comprehensive foundation for your career. I taught about a dozen junior project managers. All behave in the same way. A new PM comes to the office for the first time. He or she looks a bit lost and confused. It is OK. You then show them around and start aquatinting with the future team and other people. At this moment I usually notice one interesting thing. They are uncomfortable to make notes about these people. Thus, they remember only a small part of the stakeholders. After that, I usually tell them about the project in more details. Once I’m done, I ask whether there are any questions. Usually, none of them has any questions. They do not know what to ask. They do not know what is important. If you feel the same, check the article about questions a junior project manager should ask. That is not what I like to see. It is the time allocated for your professional development. There is a better way to use it. So, what would be the ideal behaviour of a junior project manager? You must devote one to three months of your life to a rapid professional growth. It may seem like a newcomer is super motivated and eager to work. At the same time, they feel like they still have some time to get to the speed. They are waiting for a special moment when they will take over responsibility. Until then a senior project manager is in charge. No, a junior project manager doesn’t have time margin. There is no steep responsibility curve. So, you are dedicated, but you still don’t know what to do and ask. Then, be proactive at least. You see, no one will assess you by the questions you ask. Only by your results and value you provided. Communicate. Find people who are ready to help and explain. You will be spending about 90% of your time talking and asking questions. You must get comfortable approaching people with any kinds of questions. As Soon As Possible. There is always a massive flow of information in the beginning. Policies, processes, stakeholders, contacts, templates, questions, and tasks. Everyone will assume you remembered all this information from the first time. No one will bother checking that. Until you make a mistake. So, you need a way to organise everything efficiently. Here is a pro tip. Don’t try to do it in your head. Create a system of folders for your emails. Dump information in a structured way into Evernote. Track your all your task in one place. Getting acquainted with other prominent people in the office is a common ritual. Use it wisely. What is your role in the organisation? What are your primary roles and responsibilities in regards to my project? Is there anyone else I should meet with? Note the answers. Then, ask your senior PM the same questions in regards to the person. Compare the results. Find out how a person positions himself versus how he actually acts. It will tell you his interest and power in regards to the project. Here is another pro tip. Make sure you don’t mess Stakeholder Management Plan of your the senior project manager. Especially don’t make yourself a point of influence on the project. Try to keep to the one and the same strategy line. Read a book on project management. Select one that is closer to the environment you will be working in. Ask your new colleagues. They can help. I can suggest you PMP Exam Prep, Eighth Edition – Updated: Rita’s Course in a Book for Passing the PMP Exam Eighth Edition. It is extensive reading. It sounds like an obvious suggestion. However, I never saw a junior project manager who did this exercise. Here you have a great chance to layer on practical knowledge on the theory. Moreover, you have a benefit of asking and clarifying all the aspects. And the last tip. Do not focus on soft skills. You will have a chance to hone them on a daily basis. Use your initial period on mastering the theory of project management. Later, it will be impossibly difficult to find time for that. Junior project managers are highly overloaded during the first few months of work. Nevertheless, they focus on things of secondary importance. Mainly because they do not understand the value of this initial period. You can use it to a greater benefit. Though, it requires extra effort, determination and a bit of self-esteem.